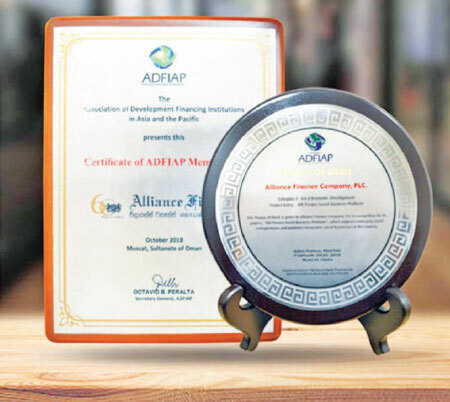 Alliance Finance Company PLC, Sri Lanka (AFC) has been recognized with a merit award at the ADFIAP Outstanding Development Projects Awards 2019, organized by the Association of Development Financing Institutions in Asia and the Pacific (ADFIAP), headquartered in the Philippines. It was awarded under the category of Local Economic Development for AFC’s contribution towards developing Social Entrepreneurship in Sri Lanka by partnering with the Ath Pavura reality TV program. ADFIAP is the industry body representing development banks and other financial institutions engaged in the financing of development in the Asia-Pacific region. Its mission is to advance sustainable development through its members. Founded in 1976, ADFIAP has currently 131 member-institutions in 45 countries including the Asian Development Bank as a Special Member. In July 2018, the Deputy Chairman/Managing Director Romani de Silva, received the merit award for the Sustainability Leader of the Year at the Karlsruhe Sustainability Finance Awards, held in Karlsruhe, Germany, organized by the European Organization for Sustainable Development, adding to the list of international awards received for the sustainability efforts of the company. AFC Thuru Mithuru was the largest project AFC conducted in the year 2018, planting 214,000++ plants by the year end of which 176,518 were planted on World Environment Day, with the participation of over 370,000 school children from 991 schools in all districts of Sri Lanka. This is a program scheduled for three years with the objective of compensating the Carbon Dioxide emitted by the Motor Vehicles leased by customers of the company. Accordingly, Approx. 50 trees for every motor car lease would be planted, totaling to 600,000 trees by the end of 2021.